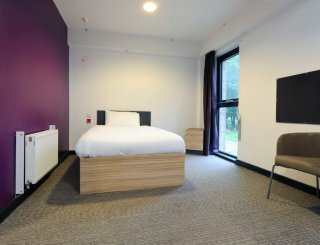 Academy St Albans, St Albans, Hertfordshire, sleeps 10-383 in 173 bedrooms. 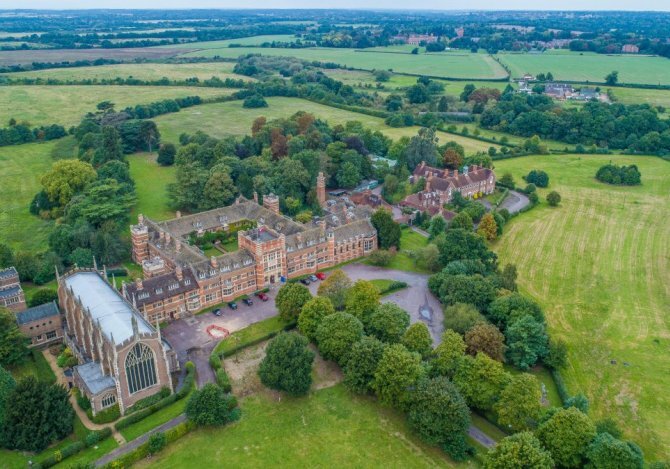 Academy Residences welcomes you to Academy St Albans, our delightful residential education and activity centre, set in majestic buildings and grounds in the village of London Colney. We rent accommodation and facilities to visiting groups of 10 - 383 people, all year round. We're just 4 miles from St Albans and 20 miles from central London. 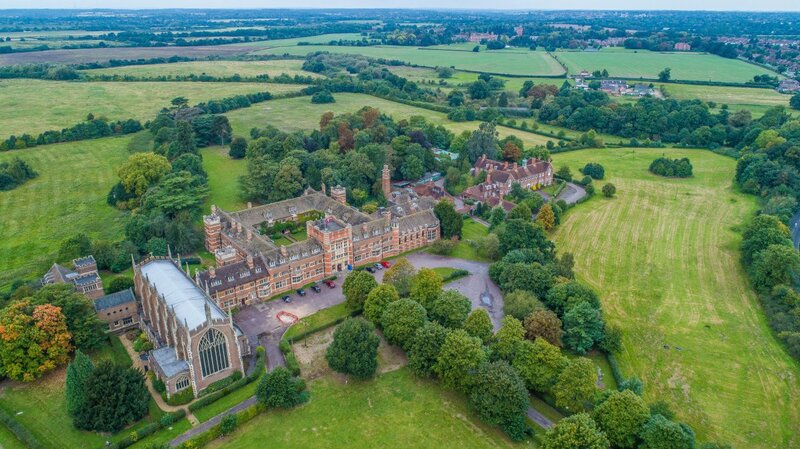 It's the perfect choice for your school or college, charity, performing arts or sports team, training, meeting and activity programmes, faith retreats or your special interest events. All rentals include full board catering, with hot breakfast, hot lunch, and hot dinner served in our Dining Hall - or packed meals can be ordered instead - and use of our great indoor and outdoor facilities. Accommodation is in single, twin and multi-bedded rooms, with shared bathrooms. Road - Take Junction 22 on the M25. At Colney Fields roundabout take the Harper Lane exit, then the Bell Lane exit at the next roundabout. Follow Bell Lane for 2 minutes and then take the right turn at the small roundabout back over the M25. Academy St Albans is 500 yards on your left. Our Dining Room serves 120 per sitting, with several sittings for each meal. You can request to reserve common room areas for your group to use. We have TVs in some facilities, and you're welcome to request to bring your own music and equipment for the facilities you reserve for private use. You can use our free Wi-Fi in most of our facilities. You can reserve spaces where you can arrange your own activities. We have 383 beds in single, twin and multi-bedded rooms, with shared bathrooms. Bed linen is provided, and changed on a weekly basis. We have two ground floor bedrooms suitable for disabled access. No specific facilities for children, but they love the facilities, gardens and extensive grounds! You can reserve our camp fire site, or any of our outdoor areas so you can organise your own activities. There are convenient car parking areas on site for both cars and coaches. Smoking is possible in the designated outside smoking areas only. Unfortunately, due to the nature of our business, no pets are permitted. 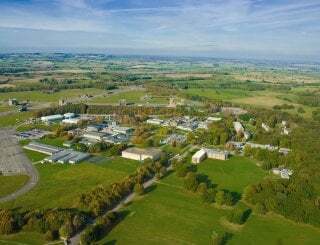 We're in the village of London Colney, 4 miles away from London Colney and 20 miles away from central London - with really easy access to all areas of London, motorways, and airports. Convenience store or bigger shops just 5 minutes' drive/30 minutes' walk away. Two lovely pubs just 5 minutes' drive/30 minutes' walk away. We have standard tariffs that offer brilliant value for money for educational, corporate, charity and faith organisations. All rental rates include accommodation, full board and use of our fantastic indoor and outdoor facilities. Please enquire - we're looking forward to hearing from you. Radlett [3 miles away], Borehamwood [5 miles away], St Albans City [4 miles away], Rickmansworth [4 miles away]. London Heathrow or London Stansted.